Why skin gets loose after weight loss, and what you can do about it. Since it has to stretch as we move, grow and – as in the case of weight loss – shrink, skin is an incredibly elastic living organ. Yes, that’s right, skin is not just one big piece of rubber that covers the entire body, but is instead an organ and, just like all the other organs in your body, it is comprised of cells. Different layers of your skin have different types of cells and, though the skin cells on the outer part of your skin (the epidermis) are constantly being lost and replaced with new cells, the skin cells under the epidermis are a bit more permanent. These layers of the skin, called the dermis and sub-dermis, are made up of elastic connective tissues, fibres, blood vessels and all sorts of components that can stretch or contract depending on how they’re treated. 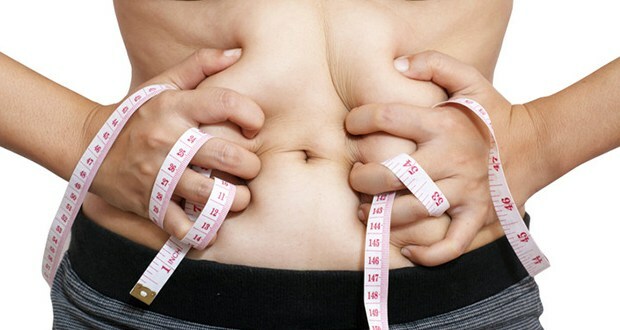 When you lose weight, especially when you lose weight very quickly, these elastic components of your skin not only lose the layers of fat that keep them stretched out over your body, but they also don’t have much time for their elasticity to adapt to your new shape. In addition to weight loss, age, poor nutrition, dehydration, excessive sun exposure and smoking can all affect the elasticity of the skin and give you that elephant-like appearance you probably don’t want. Crash diets and excessive amounts of time spent exercising can rapidly shed both muscle and fat, resulting in a double-whammy on your skin – the supportive underlying muscular structure that holds skin against your body is lost, as is the fat that keeps the skin stretched out. Quick and dirty tip for not losing weight too quickly: Aim for 1-2 pounds (0.5-1kg) of fat loss per week, and make sure your weight loss programme includes weight lifting so that you do not lose lean muscle. Two necessary ingredients that keep skin plump and elastic are collagen and elastin. Protein-rich foods such as cottage cheese, milk, legumes, tofu, beans, seeds, nuts and fish all contain collagen and elastin-forming components, as well as oils to help maintain healthy skin. Quick and dirty protein tip: For optimum absorption, squeeze 100-200 calories of these protein sources in immediately after your workout. Nourish and care for your skin. Daily exfoliation can help to remove dead skin cells and increase skin circulation. A hot bath with sea salts and minerals can improve skin tone. Skin tightening creams with herbal formulas and ingredients such as aloe vera, hyaluronic acid, yeast extract, soy protein, vitamin C, vitamin E and vitamin A can help to hydrate and increase collagen and elastin formation in skin. Stay away from harsh detergents such as sulfates in soaps, shampoos and dishwashing liquids, limit your sun exposure and stay away from tanning booths, and limit your exposure to hot and chlorinated water – all of these things will decrease skin elasticity. Skin can only be stretched so far before it looses some of its ability to snap back. If you’ve had a nine-month pregnancy then you’ll be able to tighten your loose skin. But if you’ve carried a hundred or more extra pounds for many years, you may be a candidate for plastic surgery to tighten and lift loose skin. This fix should only be used in extreme cases and I should warn you: my clients who have undergone this operation have actually gained more fat afterwards while they were rehabilitating from surgery. As mentioned earlier, the elasticity of your skin will naturally decrease with age. Though you can address issues such as not losing weight too quickly, staying properly hydrated, eating the right foods and caring for your skin, you simply have no control over your age. Ben Greenfield writes the Get-Fit Guy column for QuickandDirtyTips.com where this article first appeared.